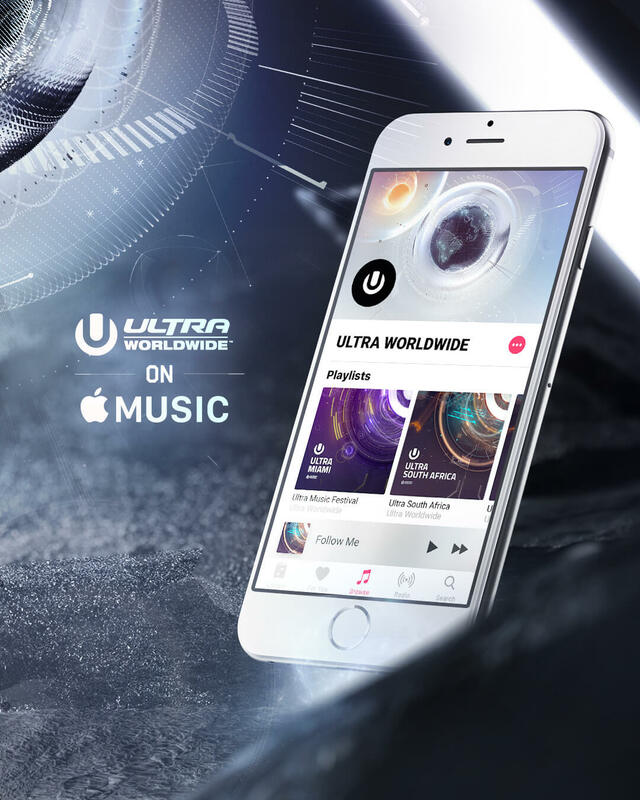 ULTRA Worldwide is now an official Apple Music curator! Explore dynamic playlists made to complement each and every one of ULTRA’s international festivals, featuring a variety of artists, genres, and themes. The account currently has 4 playlists, which can be explored further below. — a rundown of music from the artists performing at this year’s event in Downtown Miami. The playlist is a testament to the variety in this years lineup, featuring music by artists such as Tiësto, Carl Cox, The Prodigy, Cypress Hill, Major Lazer, Tchami and more! — Before ULTRA Music Festival puts on its 19th edition at Bayfront Park, ULTRA Worldwide ventures to Cape Town and Johannesburg for consecutive nights of electronic music from some of the worlds best DJ’s. This playlist embodies the music of this years headliners, featuring tunes from Martin Garrix, Dash Berlin, David Guetta, Black Coffee and more! — Become immersed in the sounds and culture that is South Africa with music from some of this years local talent. You may find this playlist to be a welcomed change from what you’re used to hearing on the radio. — ULTRA Worldwide’s globally syndicated award winning radio broadcast airs every Friday with LIVE recorded sets from past ULTRA Worldwide performances. To better educate listeners in the week leading up to the show, this playlist will feature music from the artists to be showcased in the coming week’s episode. This Friday, UMF Radio presents Afrojack and W&W, recorded LIVE from ULTRA Europe 2016.